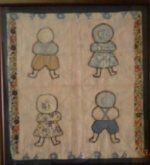 My grandmother made this quilt top in the 1940's or 1950's in Salisbury Center, New York, from scraps from her household sewing. The quilt shop staff felt the blue borders were made of new material. After her death in 1965 with dementia and my grandfather's death in 1966, my uncle went in and sold off all valuables in the household, including 5 quilts -- one for each of her sons. 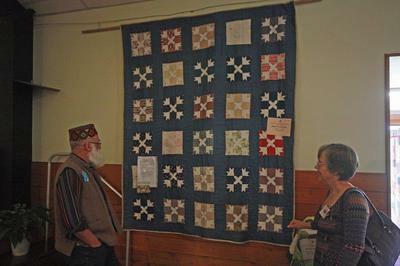 Since this quilt was not completed, it was not sold. After my uncle's death in 2004, the quilt top was found and given to me to complete. During washing, material in one of the blocks disintegrated (3rd row down, 2nd block from the right). I used heritage material to complete that block, wool batting and the heritage material for the backing. I would love to know the pattern's name and history. The value of this quilt is, of course, that it was made by my grandmother. It is hand pierced, despite being a scrap quilt the use of color is coordinated well. My grandfather wrote in his diary that Sunday afternoon was the time she would sew, visit neighbours or receive visitors. 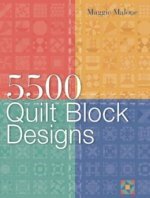 Quilting was her relaxation, her link with friends, and expression of creativity. 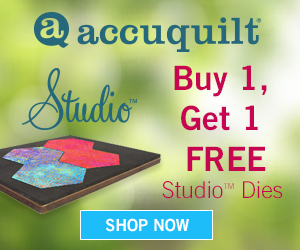 Quilting as for many of us is not only productive but life enhancing for her and others. It is really a great piece of art.I am impressed to see the pattern. Your grandmother has made this quilt, it has very unique design, no doubt she was a great designe. I like reading the post. Thank you for sharing this beautiful treasure and the touching story behind it.